Election Day is coming and unfortunately many voters will be left scratching their heads in the voting booth, reading the language of the State ballot questions, and wondering what to do. While I’m not going to tell you how to vote, after speaking with a number of constituents who haven’t heard a thing, I’d like to give you an overview of the questions you’ll see on the State ballot. Below is a summary of each question along with Web links for those who are inclined to dig a little deeper. If this measure passes it would significantly increase the amount of public, taxpayer funds that are handed out to candidates running for the Maine Legislature or those running for governor. For example, if this measure passes, those running for the Maine House of Representatives would receive roughly $15,000 while those running for state senate would get $62,000. Currently, candidates can qualify for roughly $5,000 for a state house race and $22,000 for a state senate race. The full text of the citizen’s initiative bill, which is on file as Legislative Document 806, can be viewed online at http://www.mainelegislature.org/legis/bills/bills_127th/billtexts/IB000101.asp. Question 2 is “An Act To Authorize a General Fund Bond Issue To Support the Independence of Maine's Seniors.” would issue $15 million in bonds for the construction of energy-efficient housing for low-income seniors and the repair and weatherization of existing homes for low-income seniors. A senior would be defined as a person 55 years of age or older. Question 3 is “An Act To Authorize Two General Fund Bond Issues To Improve Highways, Bridges and Multimodal Facilities.” This is asking voters to approve an $85,000,000 bond package that would trigger a match that would put $121,500,000 into Maine’s ports, harbors, marine transportation, freight and passenger railroads, aviation, transit and bicycle and pedestrian trails. 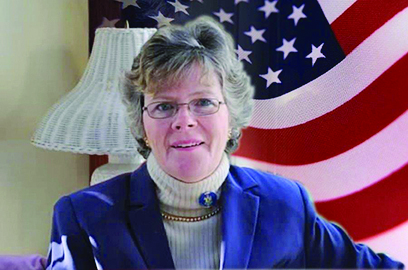 For more information about the November 2015 elections, visit http://maine.gov/sos/cec/elec/upcoming/index.html. Information on voter registration and locating your polling place can also be found on the Secretary of State’s Web site. Aside from these three questions on the State ballot, there will be a Town referendum question with regard to funding a new public works, school transportation, and maintenance facility, along with elections for two town councilors, two school board members and town clerk. There’s plenty of incentive to get out to vote. I hope to see you at the polls. 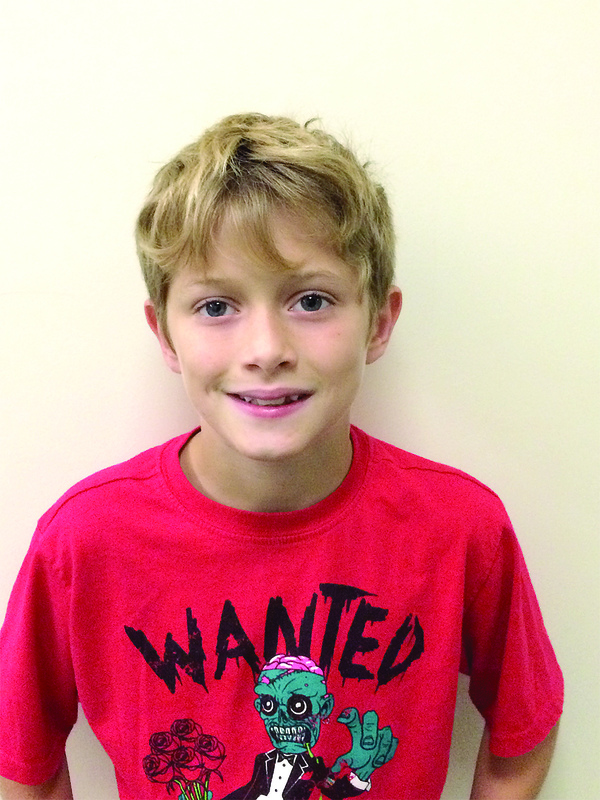 Nine-year-old Hunter Simpsom is The Windham Eagle’s first student of the week for the 2015-2016 school year. Hunter attends Raymond Elementary School where his teacher is Mrs. Potter. He is in the fourth grade and his most successful class is computer class. Hunter lives wi3th his dad Josh Simpsom, his mom Ashlee Johnson and one dog and two cats. Hunter hopes to attend West Point for college. His mom and dad have been the most helpful in his education so far. And school is the most important thing in his life right now. “It’s fun and helps me learn,” Hunter said. He also likes learning with friends, that makes it fun. In his free time he plays Minecraft, has campfires and plays with his friends. Windham High School graduates and siblings Ashley and Dan Crocker have both made their way to the West Coast to pursue their dreams. Both are making good progress on the path to their chosen career. 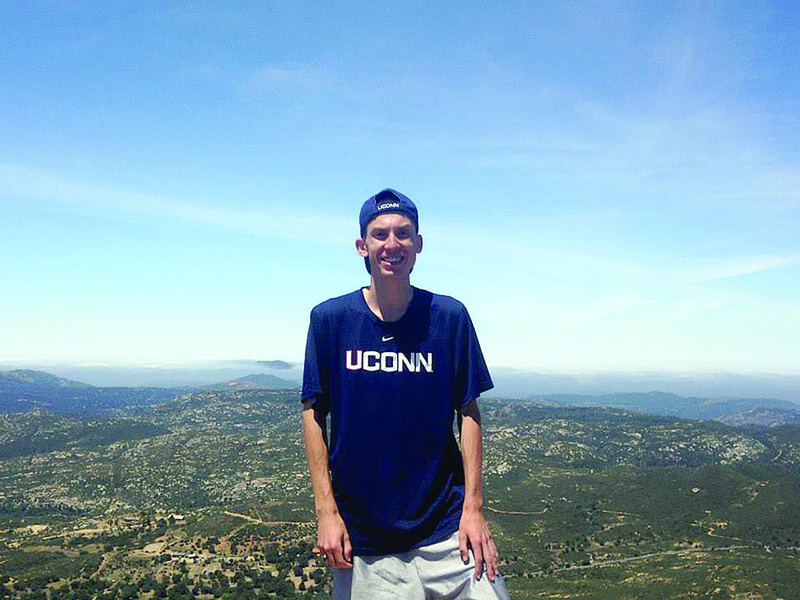 After spending four years at the University of Connecticut and receiving a degree in chemistry in 2014, Dan began to look for a graduate program in environmental or atmospheric chemistry. “There’s a lot of those out here in CA, and not a whole lot anywhere else,” he said, explaining how he landed in California. 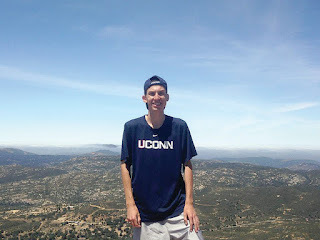 Dan is currently in a PhD program at the University of California San Diego. He anticipates that the program will take five or six years to complete. Though he doesn’t yet have a specific career in mind, he said he would really like to work in the field of researching climate change. Some highlights since graduating from Windham High School include being voted most outstanding senior in chemistry at UConn during his final year, and getting into the PhD program, he said. Dan doesn’t plan to remain in California after his schooling. “I’d like to come back to New England,” he said, though the ultimate decision will rest on where he is able to find a job. Ashley, on the other hand, is right where she would like to be. After graduating from WHS she headed to Emerson College in Boston to study film post production. She spent her summers in internship positions and taking classes, finishing her undergraduate degree in just three years. One of the reasons she wanted to finish college quickly was the cost. Her parents were doing her a huge favor, she said, by helping pay for an expensive school. “I wanted to do everything I could to make sure the financial burden on them wasn’t too much, and that they could retire on time,” she said. Though it was time consuming to fit four years of school into three, she said she’s glad it worked out that way. And finishing when she did made it possible for her to grab opportunity when it came along. 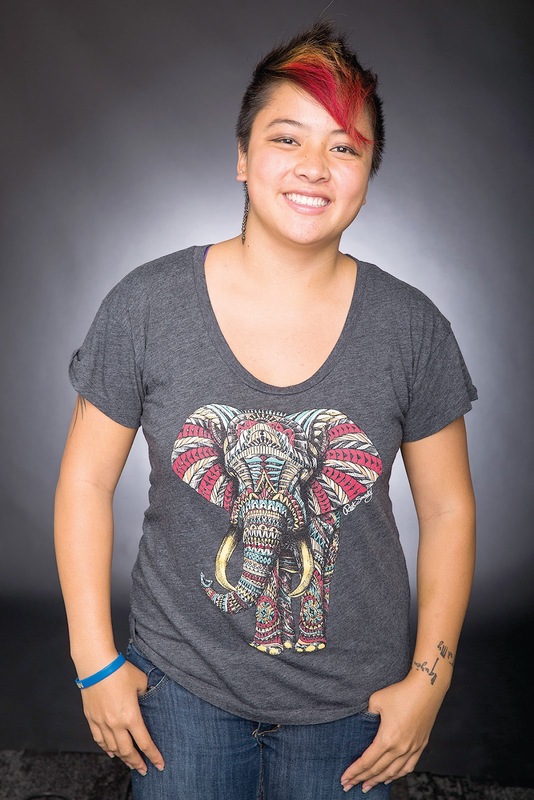 Ashley’s involvement with a video game called League of Legends, and her interest in “e-sports” which are organized video game competitions among the best players in the world, prompted her to help start a League of Legends club at Emerson in her sophomore year. In the fall semester of her third year, the club was expanded to a full e-sports club, and officially recognized by the school. The club allowed her not only to have fun doing something she loved, but gave her an opportunity to practice what she was learning in school, she said. In the spring of 2015 Ashley did her final semester of school at the Emerson LA campus, a relatively new program. While there she did an internship for credit with a company called Psychic Bunny. It was there that she first worked on a project for Riot Games, the company that makes League of Legends. And in February, she saw a job posting for an assistant editor at Riot Games. She submitted her resume, went through a rigorous interview process, and ultimately landed the job. Ashley finished her college degree, helped close up the campus in her role as an RA, and started her new job the next day. “I think it was a large intersection of a lot of things that made it work out so that I got to work at, essentially, my dream job,” she said. Ashley said she is enjoying the moment and learning a lot at a company that encourages everyone who works there to grow in their positions. That presents her with an opportunity to find out what she likes best and go in that direction. At this time, she said, she prefers features, which are short documentary pieces. While she misses her family all the way across the country, and is glad she had the chance to grow up someplace like Windham, she is happy with where she is now. “This is the type of thing you can never do in Maine,” she said. This is an ongoing series of articles related to today’s technology, computers and Internet use, as well as standard safety and security practices. Remember, use common sense and follow your instincts. Any changes that you make to your computer are ultimately your responsibility. Welcome one and all, to the most acclaimed and profound technology article that you may ever read. The talk of the towns, where the rubber hits the road, and the cat’s meow… It’s Technology Tune-Up Time! Whether you are technologically minded, or techno challenged, you my friend have come to the right place. This is the place where we take the complicated world of technology, and break it down into every day terms that all of us can understand. It is once again that time of year when school is, or will soon be back in session. The daily homework and mandatory school projects will begin. This brings me to my point of purpose. The point is to offer some useful suggestions, all for the purpose of making a student’s time spent on school studies more productive. So, with that in mind, let’s look at some things that may help a student to get a bit closer to where they want to be, in less time, and with less aggravation. Let’s start with first things first. How’s your computer running? A student can only be as productive as their computer is responsive. There are many things that can contribute to a computer being sluggish and difficult. From a technician’s stand point it is always a good rule of thumb to reinstall Windows once every year or two, just to keep a computer fresh, fast and in perfect working order. If your computer is slow, and seems to have a mind of its own, it is probably a good idea to have it looked at. A reinstall of Windows and maybe some added system memory can make a world of difference. Or a system cleaning, update and optimization might be just enough to do the trick. Either way, a happy computer begets a happy student. Now, let’s cover a must have for all students. Every student should have a modern word processor, a spread sheet, database and presentation program. Not everyone can afford the added expense of buying Microsoft Office for every computer in the home. Microsoft has a subscription based solution for all their office programs as a substitute to the one time purchase. This may be a good alternative for you. It’s called Office 365. To give you a general idea, Office 365 Personal, is offered to you for $6.99 per month or $69.99 per year. This includes Microsoft Office on one PC or Mac and one tablet and one phone. Compare that to Office 365 Home, which is offered to you for $9.99 per month or $99.99 per year. This includes Microsoft Office on five PCs or Macs and five tablets and five phones. All of this comes with cloud storage and cloud programs as well as Skype. You can find more info about this by visiting https://products.office.com. All things considered, not a bad deal. How about a free alternative? In this case, free does not equal less than. This is by all means a respected and world class program choice. It is an office suite comparable to Microsoft Office that will read, edit and save files in multiple file formats, including all of Microsoft’s file types. This program is as good or even better then the newest version of Microsoft Office. You can have this entire suite of programs and it is all completely free. This suite is called LibreOffice. I recommend it. Download your free copy at www.libreoffice.org. In closing, let me remind everyone to help keep our kids safe. Pay a little extra attention while driving now that school is back in session. Add some extra time to your transit. Extend some courtesy to our school bus drivers. Put down the cell phones while driving, and have a safe school year. Until next time, keep trusting and keep believing! Bob is the owner and operator of Computer Mechanic, a Computer Repair Business located in Gray, Maine. His services include: Computer repair both PC and Mac, virus removal, data recovery, website design and hosting, photo repair and restoration as well as tutoring. He also offers onsite service, remote connect services and consulting. You can find more information on his business and contact info by searching for “Computer Mechanic Gray Maine” anywhere on the World Wide Web. 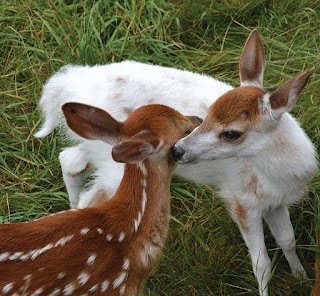 The Maine Wildlife Park in Gray has always had a wide variety of attractions and features for just about everyone to enjoy. Whether it’s a bald eagle, a great horned owl or a mountain lion you’re sure to see something that catches your eye. But wait until you get a look at their latest creation. In a place where larger than life sights are their specialty, the latest attraction could very well be the largest of them all. In an attempt to highlight the cooperation between the Maine Department of Inland Fisheries and Wildlife and the Maine Wildlife Park, staff at the facility decided to create a logo that no one would miss. Standing nearly 19 feet tall and 18 feet wide, the new Maine Department of Inland Fisheries and Wildlife logo adorning the entrance to the park is certainly impressive. Weighing nearly four tons, it has more than 26,000 fasteners holding it together and it’s anchored to the ground by 1,800 pounds of concrete. It’s quickly becoming a tourist attraction with scores of people stopping to take a photo with the giant logo. 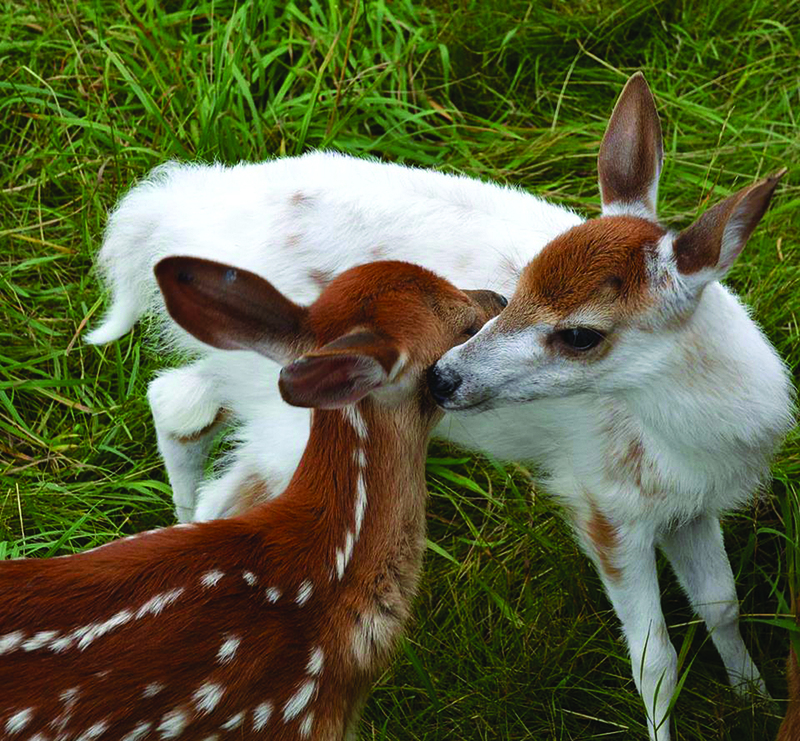 Later this month, there will be even more reasons for you to grab your camera and head to the Game Farm Road in Gray. The Maine Wildlife Park will celebrate National Hunting and Fishing Day where they will play host to several of our game wardens featured on the hit television show “North Woods Law.” It’s sure to be a great time to check out all that the park has to offer while supporting Maine’s rich hunting and fishing tradition and the 135th anniversary of the Maine Warden Service. Rep. Sue Austin serves the good people of House District 67 which includes parts of which includes parts of Gray, Raymond, Casco and all of Frye Island.